Sally Sweeney has begun her preparation for a career in the saddle. After 10 trials Sally is well on the way to following in her sister Brookes footsteps as well as Irene & Phils past histories of being jockeys. Sally is currently completeing her VCE at Finley High School with the vision of becoming a fully fledged apprentice toward the end of this year. Combining study with the early mornings is proving to be a challenge that Sally is tackling with great gusto. 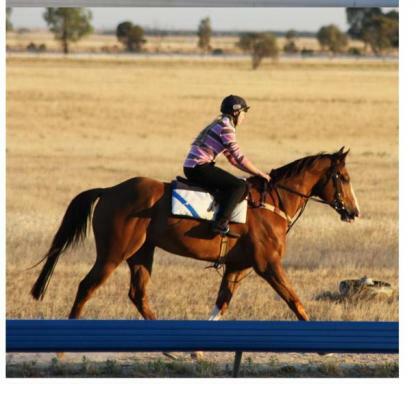 The plan is to gather as much experience as possible at the trials & in trackwork so as to be able to really enjoy the next part of riding in races. Phil & Irene are extremly proud of how Brooke has progressed in the tough enviroment of the racing world. Over 30 winners since beginning her riding career has been a great achievment.